The word we now use so often. When you ask us how we are managing with the death of our son, all we can say is that we are surviving. Why are we only surviving? We had our beautiful son with us for four years and now, to have to wake up every morning without him seems impossible. Yes it is true we are living the life no one wants, and we don’t blame anyone for not wanting this life. When you have a child, your head flows with everything they are going to be and the what they are going to do. How they are going to look and what kind of personality will they have. Imagine only having a taste of what it’s like. To have all the hopes and dreams for the future, and yet, for it be taken away so soon and in such a horrible way. From becoming new parents, to bereaved parents in only 4 short years. He had his whole life ahead of him, to dream, to wish, to grow and to change the world in his own beautiful way. Never in a million years did we think we would ever have to wake up without him. Not being able to hear his voice, see his beautiful crystal blue eyes or be able to hug him whenever we could. To lose a child is to lose the hopes and dreams you once had, it’s losing most of your heart and most of yourself. Surviving is all we have left to hope for now, & we hope you never have to understand that sentence or feel what it is like to walk through life missing a child. It’s a different kind of grief, the grief doesn’t get easier and it most certainly doesn’t just go away. Why not? well it’s easy to answer, a parent should never have to bury a child, it’s just not what is suppose to be done. This grief is a messy, ugly and a selfish one. There are days that are better then others and some days where you just cant seem to function. Days where you just cry your heart out, and days that you get so angry and caught up in the fact that we couldn’t save our son. 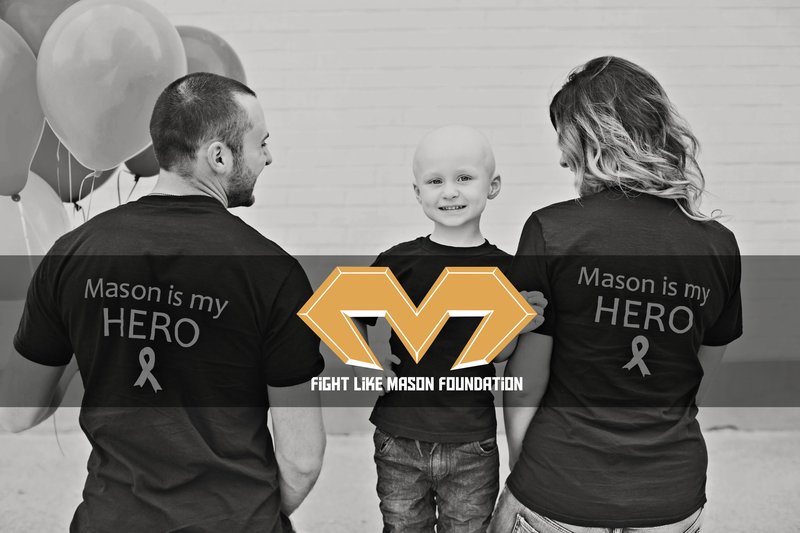 Everyday we face new challenges, whether it’s going somewhere were we had been with Mason, watching his favourite shows, or eating his favourite foods. It all brings back so many memories and emotions of happiness,sadness and of guilt. Holidays, birthdays and times for celebration, will forever be difficult. For the simple reason that we have to spend it without Mason. It also comes with guilt, if we are out making new memories or having a good time, we feel guilty. And yes we know he wouldn’t want us to always be sad or not make new memories, but as parents, we will always be sad without him no matter what anyone says. It all comes back to surviving, we are surviving the worst possible thing that can happen to families. But at the end of the day we still make sure Mason knows how much we love him & Miller. It’s a roller coster of a journey we our now on, that is scary, uncertain and full of unanswered questions. However as a family of 4 we will face those challenges head on. Hugs…. You’re surviving better than most! You’re doing a great job. My heart goes out to u .I wish I could take all those sad n bad days away 😐Just plz make the best out of each day because I’m sure Mason wants that . 😇sending my prayers to you and your family. God bless .